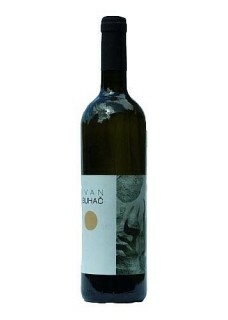 Among the "insiders", wines of family Buhač are known as a miracle relationship beetwen quality and price. Diligent family immediately after returning from the war exile thoroughly set to the reconstruction and establishing new plantations. Excellent results without much fanfare represent to market. Elegant label and harmonized flavors and aromas of this light graševina classified itself's in a higher grade than that suggested price. Delicate, straw-yellow color. A distinctive, intense varietal aroma that goes in the direction of white flowers, grapefruit rind and celery root. On the palate fresh, pleasant bitterness and acidity with medium body and atractive flavors nicely fills the mouth. Harmonious and accessible, pungency of green apples and a nice raise slenderness whole composition in medium-long finish.